With the Spell to Write and Read Companion CD your students will be able to review and master their lists all on their own! In no time your children will be well on their way to mastering the Spell to Write and Read Curriculum! the SWR companion CD set. BONUS CD Included that covers the diagnostic tests as well! A CD index guide to make accessing specific spelling sections easy! 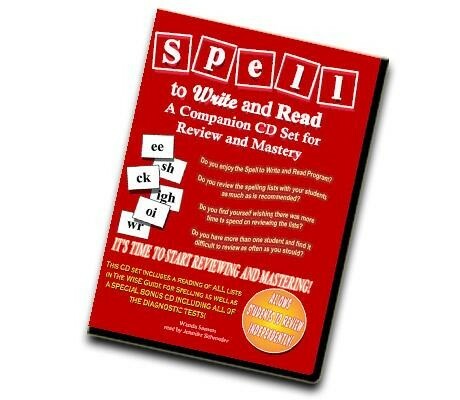 The SWR companion CD Set is a perfect compliment to our daily spelling routine! This effective tool allows my children to review independantly and progress is evident through the repetitions"
"It's a quick way to really understand my spelling words for the week!"